The NBA player and reality television star are reportedly seriously talking marriage after dating for a month. What could go wrong? Lamar Odom, the Lakers forward that for years fans have been exhorting to just go after it with some passion, apparently finally is doing just that. Of course, he’s doing it off the court. Insiders tell E! 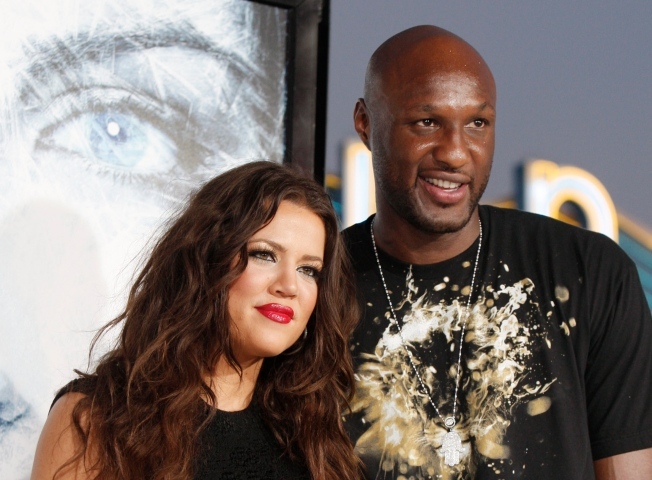 News exclusively that Khloé Kardashian and her NBA star boyfriend Lamar Odom are already considering tying the knot. Odom, a forward for the L.A. Lakers, and Khloé recently have been "talking about rings," says a source close to the couple. There are other rumors that this has moved past talking. Which seems about the right pace, as they have been dating since mid-August. We should try to be supportive of love, but there are more red flags around this than Florida in hurricane season. A rich and single NBA player. A reality television star (even one considered the “voice of reason,” that has to be taken with a grain of salt in television). A whirlwind romance that leads to a quick engagement. Paparazzi around every corner and TMZ paying for any dirt it can get. What could go wrong? Odom loves Los Angeles and this summer re-signed with the team in a $30 million deal. Also, lately has loved to date starlets. Last season for a while it was Academy Award nominee Taraji Henson. Oh yea, he had three children with long-time girlfriend Liza Morales (one of his children tragically died of SIDS at 7 months old). Odom and Kardashian met at a party hosted by new Laker Ron Artest (who picks up his first assist with the new team). Kardashian apparently likes her some NBA players as in the past she dated Minnesota Timberwolves guard Rashad McCants. Odom is a much better player in a much better franchise, so in that sense she is moving up the ladder. She also is literally moving up the ladder — Odom is a legit 6’10” (six inches taller than McCants). Kardashian currently stars with her sister in the reality show "Kourtney & Khloe Take Miami," so we can look for some cameos by Odom. But at least for once Odom is being aggressive. Kurt Helin lives in Los Angeles where he is runs the NBA/Lakers blog Forum Blue & Gold (which you can also follow in twitter).